Posted By:Unknown | At:5:12 PM Be the first to comment! Welcome to an Arctic world full of adventure! The cute little penguin hurries to collect fish. Click ... flap ... simple? This is an addictive game. It tests your reflexes and movements, on time. Click to change the flapping direction. Beware of snowballs and icicles! Do not hit the obstacles, there is this funny game rule. Collect points, catch fish, unlock more colorful penguins and get the highest score in a global list and challenge other players. 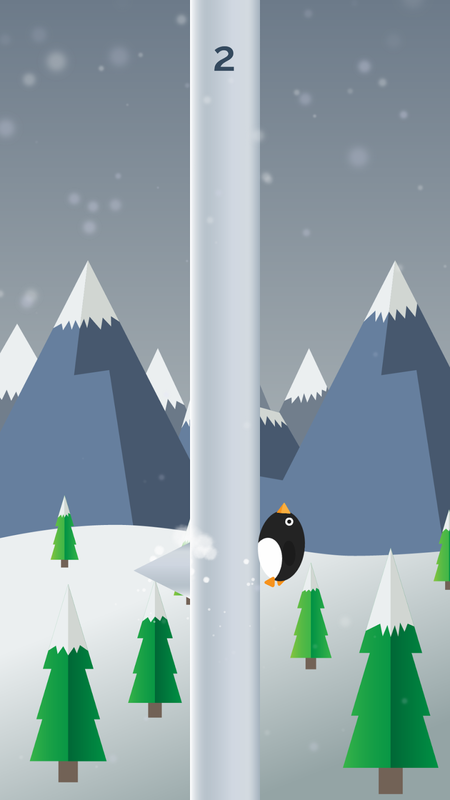 This exciting adventure of arctic animals will have you playing over and over again! - Stunning graphics, colorful pictures and a smooth animation.